Begonia ‘Art Hodes’ A beautiful large growing begonia with heavily textured leaves that are a dark green to bronze color. 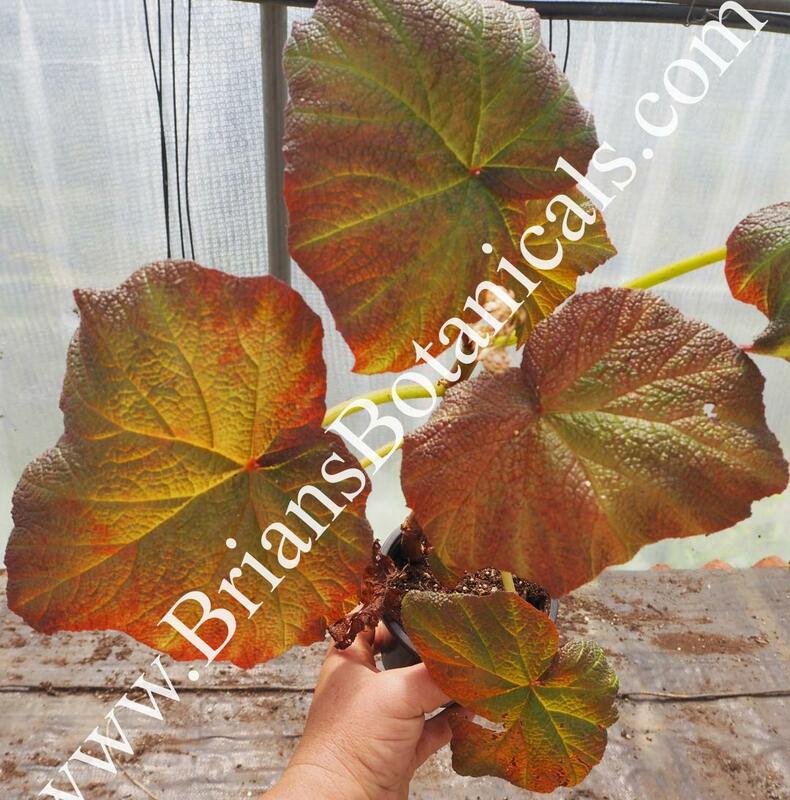 Growing from long stems this rhizomatous Begonia can spread and grow into a nice clump. Plants usually reach 2 to 3 feet tall with leaves up to 12inches across. Flowers are white and held above the foliage. Great as a potted plants or as a landscape plant in tropical areas. It can also be used as an annual in northern climates.